John Carter has but one mission…bankrupt Disney! Warner Bros. thinks Will Smith is legendary for their bankroll! Michael Bay will return to his roots with a little film called Transformers 4! Sony wants you to stop playing Twisted Metal and go see Twisted Metal! The Easter Bunny vs Bad Santa!! A 60 second YouTube video is good enough for a major motion picture, says Paramount! The Amazing Spider-Man has a new trailer, and Jake refuses to buy into the hype! Nazis. On the moon. Deal with it. Osama Bin Laden. As a zombie. Deal with that, too. The 300 sequel has cast its new Persian King, Xerxes…with a bearded white guy? Laughs Aren’t Silent in SNL Spoof of The Artist! Saturday Night Live had a really cool spoof on The Artist last night. Host Zooey Deschanel “tap dances to the top” with the surpirse guest appearance of George Valentin himself, Jean Dujardin! Check out SNL’s official site for more videos from last night’s episode, including Clint Eastwood’s Chrysler ads and Nic Cage hilariously poking fun at himself on Weekend Update! It was a middling year in the movie business. The industry’s output has, for the most part, consisted of uninspired popcorn fare that left your mind the second it entered, as well as equally uninspired Oscar bait where studios trotted out star-driven tent poles made specifically to blanket the largest possible Academy demographic. So jaded by this year’s film slate, that when faced with the idea of writing a Top Ten list, every attempt at producing said list rang untrue. I could not summon ten titles that I could legitimately say that I enjoyed enough to put in a list, much less rank them. That’s not to say that 2011 was a total loss. I loved Woody Allen’s “Midnight in Paris,” I was intrigued by Nicholas Winding Refn’s “Drive”, and I was blown away by Michael Fassbender in “Shame” and Rooney Mara in “The Girl with a Dragon Tattoo”. Hell, I thought the “building” scene in “M:I Ghost Protocol” and the subsequent sandstorm melee was one of the best action sequences I’ve ever seen. As much as I enjoyed certain aspects of these films, all of them were unbalanced pieces… incomplete thoughts, if you will. There were entire passages of each film that had me squirming in my theater chair or checking my watch. Unable to produce a Top Ten, I decided to look for something that stood out to me amongst all the waste. In searching, I began to think about movies in general. When you’re writing a weekly column about film, the way that you watch movies actually changes. Your perspective shifts and you bury yourself in the details of the production and the nuances of every performance. When you’re watching a bad movie, it’s exhausting. You find yourself looking for things you like about the film, however small, or thinking of snappy one liners you could apply to your writing. When you’re watching a great film, everything fades away. The column, the responsibilities, the world outside the theater doors vanishes and you’re transported to wherever the film wishes to take you. It’s the magic of cinema and it’s why the medium is still relevant, even in this day in age of diminishing attention spans and everything being a click away. There were two films this year in which I was taken over by the “magic” – Martin Scorsese’s “Hugo” and Michael Hazanavicius’s “The Artist”. Oddly enough, both films have a lot in common thematically. They are both loving odes to the early years of film, when the medium was still a raw and incredibly creative endeavor. When the “magic” was thick and in abundance. A lot has been written about these two films already with many critics placing them atop their Top Ten lists, and justifiably so. “Hugo” is a complete about-face for Scorsese. 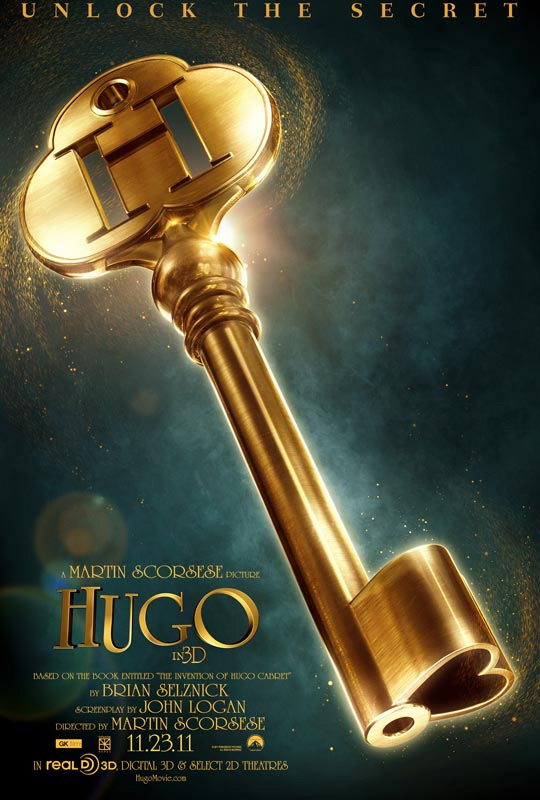 As well-known for his love of film as for the films he’s directed, “Hugo” is thinly veiled love letter to the medium he works so brilliantly in. He astutely incorporates 3D into his portrait of a young orphan living in a Parisian train station during the early twentieth century as he tries to solve a mystery left behind by his dead father. In doing so, he befriends a precocious young girl and helps a once brilliant filmmaker rediscover his creativity. The film is brimming with the joy of film making and adds a new wrinkle to Mr. Scorsese’s already stellar career. 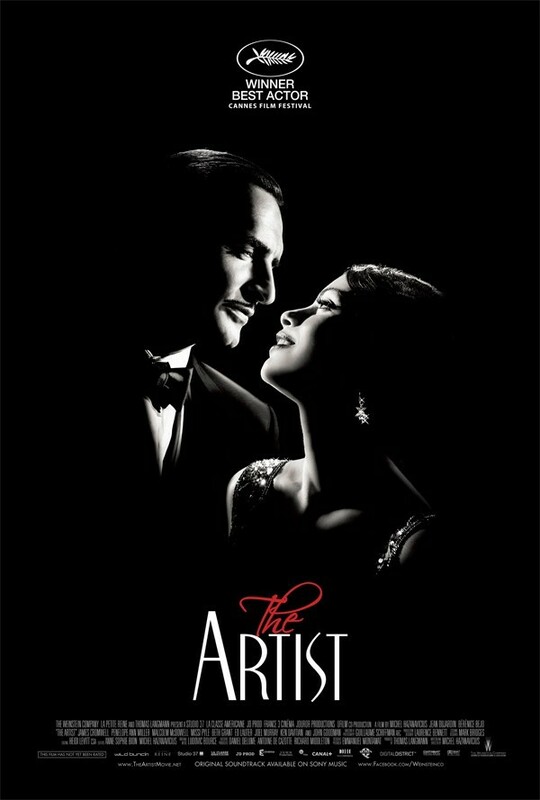 “The Artist” is quite simply a revelation. In the age of CGI and motion capture animation, watching this film was like a cool drink of water. Taking place in the early 1920’s, the film juxtaposes the fall of a once famous silent actor and the ascension of a young actress moving quickly up the studio hierarchy as “Talkies” are being introduced. The film pays tribute to its setting by being shot in black and white and forgoing any dialogue. In doing so, it perfectly captures the essence of what makes movies great. It’s brilliant use of nostalgia has you longing for a simpler time or merely a time when we hadn’t reached a saturation point; When movies were still a new and exciting thing. Despite the restraints of a silent film or perhaps because of them, “The Artist” wonderfully balances the tragedy and the comedy inherent in the story. Not since “Pulp Fiction” have I been so thoroughly entertained by a film. 2011 may not have been the best year for film, but that won’t stop me for being in line for “The Hobbit” or see for myself if “Prometheus” is indeed a prequel to “Alien”. I’m a film junkie, and films like “Hugo” and “The Artist” just up the ante of my addiction. 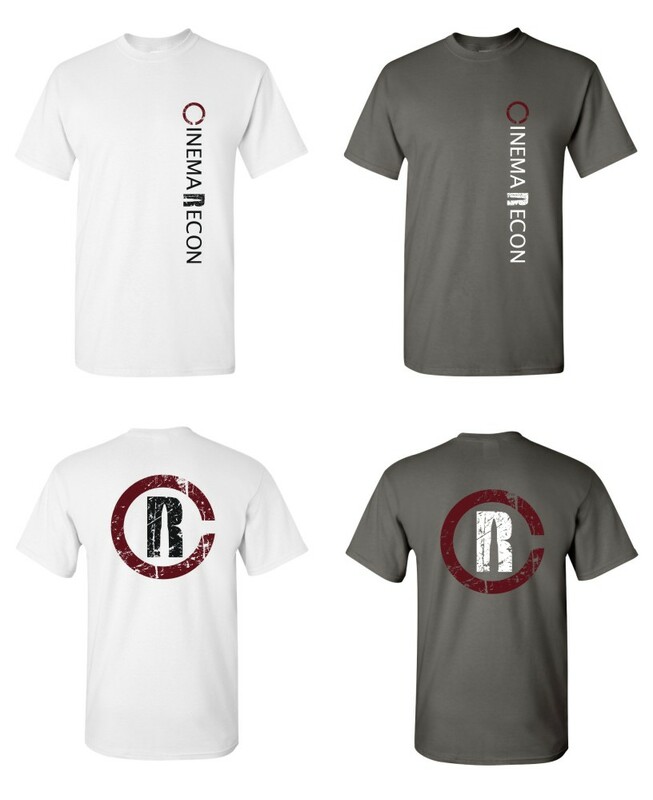 So, A Very Cinema Recon New Years to all of you. I’ll keep writing at you.